FAIRFAX, VA – January 25, 2018 – Myrtle Beach Seaside Resorts, nestled beside the emerald waters of South Carolina’s Atlantic coast, has become a Travel and Leisure Affiliated Partner of Trailways Transportation System, Inc. It is the first Myrtle Beach travel company to join the Trailways program designed to help tour and travel companies connect with Trailways bus companies to attract their group tour bus business. From full-service hotel rooms to one-, two- and three-bedroom condominiums to convention and special event facilities, the six resort properties offer a variety of affordable accommodations within minutes of Myrtle Beach’s sun-splashed sands, golf courses and vacation attractions for families, couples and groups. On-site amenities entice lodgers with full kitchens, indoor and outdoor pools, lazy rivers and hot tubs, restaurants, fitness centers, plus oceanfront or ocean view private balconies. The Myrtle Beach Seaside Resorts rental management company tends to the day-to-day needs of clients’ vacation rental properties, from marketing strategies to housekeeping and repairs to monthly income statements and revenue distribution. Myrtle Beach Seaside Resorts will be an exhibitor at the 2018 Trailways Stockholders Meeting and Conference, February 25-27, in Sandestin, FL. Comprised of more than 65 independently owned and/or operated bus and motorcoach companies in North America and parts of Europe, Trailways through its Affiliated Partner Program enables suppliers and travel partners to network with its company owners and other top decision makers, for their mutual benefit. For more information about Myrtle Beach Seaside Resorts, please contact Pauline Levesque, Director of Sales, at (843) 417-5510 or pauline@mbseasideresorts.com. For more information about the Trailways Affiliated Partner Program, please contact Diane Walden, Vice President – Sales, at (703) 897-4414 or (703) 362-8438 or Ditrails@trailways.com. FAIRFAX, VA – January 25, 2018 – Turning Stone Resort Casino, the Oneida Indian Nation’s award-winning lodging, gaming, golf, dining and entertainment destination in Upstate New York (Verona, NY), has become a Travel and Leisure Affiliated Partner of Trailways Transportation System, Inc. Turning Stone features four hotels, a recreational vehicle park, two luxurious spas, five golf courses, plus a 125,000-square-foot gaming floor, a 5,000-seat concert arena and convention center and a 700-seat showroom arranged cabaret-style. Its more than 20 dining options include the famed TS Steakhouse atop The Tower Hotel, dubbed by Open Table among the “100 Most Romantic Restaurants in America.” Popular for its nightlife, the resort serves as a venue for entertainment ranging from boxing and martial arts to concerts and theatrical events starring top-name performers. Turning Stone Resort Casino will be a first-time exhibitor at the 2018 Trailways Stockholders Meeting and Conference, February 25-27, in San Destin, FL. 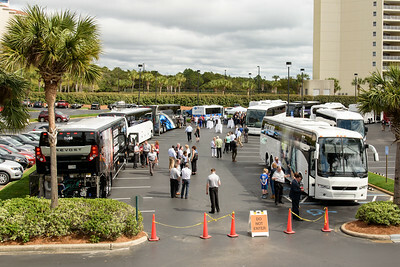 Comprised of more than 65 independently owned and/or operated bus and motorcoach companies in North America and parts of Europe, Trailways through its Affiliated Partner Program enables suppliers and travel partners to network with its company owners and other top decision makers, for their mutual benefit. For more information about Turning Stone Resort Casino, please contact Lisa Butler, Sales Manager, at (315) 361-7807 or Lisa.Butler@turningstone.com. Trailways is pleased to announce a new Preferred Partner, Corporate Finance Associates (CFA) of Memphis, Tennessee. You’ve spent years building your most valuable asset…your business. But now, you are at a crossroads and need advice. CFA offers a full line of investment banking services for those selling a business, buying a business, raising capital, or planning an exit strategy. CFA are Investment Bankers to the middle market. Trailways is pleased to announce a new Affiliated Partner: American Compressor Inc. Knoxville, Tenn.
With the hot summer travel season approaching, air conditioning units in your vehicles need to be 100% to keep your passengers and drivers cool and comfortable. American Compressor Engineering, a complete compressor remanufacturing company, has 25 years of experience in re-manufacturing a compressor of extreme quality by adding all new parts to the machine. The company services all types of compressors, including bus & coach units from Carrier and Thermo-king. The unit compresses the gas and the gas cools the unit. Technicians are available for general or emergency support over the phone as well. Fairfax, VA – December 5, 2015 – Alliance AutoGas, an international network of companies that provides a comprehensive solution for medium and heavy-duty fleets transitioning from diesel or gasoline to propane autogas, has become an affiliated partner of Trailways Transportation System, Inc.
Headquartered near Asheville, NC, Alliance AutoGas (www.allianceautogas.com) is managed by its parent company, Blossman Gas, Inc., the largest, privately owned propane retailer in the United States. Blossman Gas remains the network’s lead fuel provider. Today’s network includes more than 100 equipment providers, certified conversion centers and autogas fuel providers. Propane autogas is a by-product of natural gas processing and crude oil refining. Among its advantages cited by Boisclair are lower cost per gallon than gasoline, reduced harmful emissions, less vehicle maintenance and longer engine life. He noted that autogas implementation for most light- and medium-duty fleets is more cost-effective than implementation of compressed natural gas, another alternative fuel. Alliance AutoGas not only converts fleets from diesel or gasoline to propane autogas but also offers a bi-fuel system that allows them to refuel with either autogas or diesel fuel or gasoline. In addition, the network offers new autogas vehicles from original equipment manufacturers through partnerships. Besides motorcoachs, including school buses, Alliance AutoGas works with many other types of fleets: taxi, limousine and paratransit; law enforcement; municipal and state governments; food and beverage distribution companies; utility and energy companies, and more. 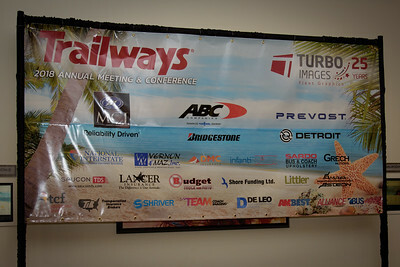 Alliance AutoGas will be among the exhibitors at the 80th Anniversary Trailways Stockholders Meeting and Conference February 21-23, 2016, at the Westin Resort at Marina Village in Cape Coral, FL. Trailways Transportation System, Inc., consists of approximately 70 independently owned and operated motorcoach companies in North America and Europe. Each company adheres to the highest safety standards required by the U.S. Department of Defense or its country’s equivalent.